Diesel Specialist is an independent diesel service & maintenance company. We serve all of Los Angeles county, Orange County, Ventura County, Santa Barbara county, Riverside County, including Whittier, Downey, Pico Rivera, Montebello, South Gate, Santa Fe Springs and much more! Here at Diesel Specialist, we use only factory scanners to diagnose any problems you may be having with your trucks. We are experts on Powerstroke, Duramax and Cummins engines. 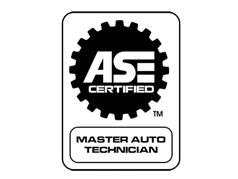 Diesel Specialist technicians are ASE / Ford ASSET (Automotive Student Service Educational Training) Certified and have over 25 years of experience. We provide you with the highest quality of work and at the best prices compared to dealers and other competitors. Our diagnostics process helps us quickly address any problem you are having with your vehicles, and this also saves you time and money! If you have any questions at all, we’ll be happy to answer them!